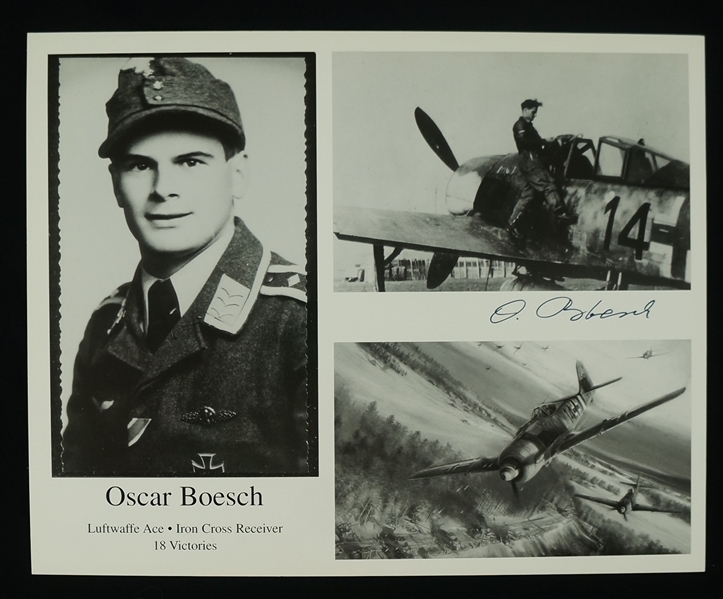 This lot features an 8x10 black and white photo signed by fighter pilot Oscar Boesch in black marker. Boesch (Deceased) was credited with 18 air victories during his short service. He claimed 10 victories on the Western front, Including Eight four engine bombers, The remaining 8 victories were over Russian flown aircraft for a total of 18 victories.